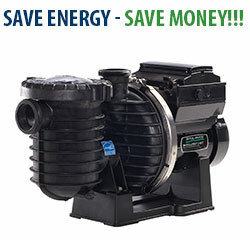 Variable speed pumps can save you up to 90% more than single speed pumps. These pumps can be programmed to run at multiple speeds. This gives you complete control over the pump function for specific task. Estimated savings of up to $1700 each year! 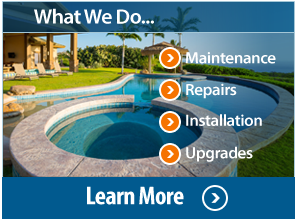 It is possible for you to calculate the potential cost and energy savings of your pool. An energy calculator is going to give you the best energy efficiency from your pool. You simply need to input specific information from your pool set-up to see the custom results and possible recommendations. Disclaimer: If you are thinking about replacing your old pool pump in Granite Bay, Roseville, Rocklin and surrounding areas, you should certainly look into variable speed pool pumps. Now is the perfect time to consider the many features and benefits of a variable speed pump. Compared with the traditional one-speed pump that runs 8-12 hours per day a variable speed pump could save you up to 90% energy savings versus single speed pumps! Some of the benefits you can expect from a variable speed pump are: substantial energy savings; longer product lifespan than a traditional pump; ultra-quiet operation; improved filtration and circulation; programable speed and programing options; potentially lifesaving safety options (SVRS). You’ll spend more on the pump initially. The average return on investment is approx. 1-2 years. 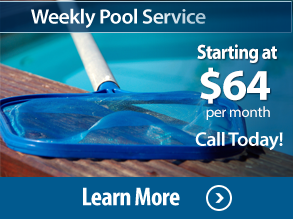 We had a Granite Bay pool service client report a monthly savings of over $145 per month and a Roseville pool service customer report a savings of over 85%! The design of variable speed pump uses a permanent magnet motor, like those used in hybrid cars, that is much more efficient than an induction coil type traditional style motor. They also have fully programmable keypad with a built-in timer and several pumps speed options. Estimates, which take into account differing electric rates across the county, show an average savings of $1200-1500 per year! Also, the permanent magnet design and totally enclosed fan cooling design result in a pump that runs extremely efficiently and produces far less heat. This greatly prolongs the life of your pump. Traditional induction coil design motors produce high heat which over time lead to failure. * Huge Energy Savings! 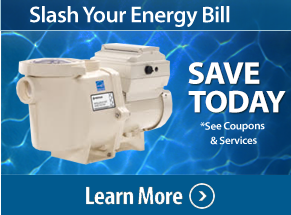 up to 90% savings on energy cost! * Ultra quiet operation. * (Totally Enclosed Fan-Cooled) motor runs cooler, quieter, and lasts longer. * Utility company rebates from: PG&E, SMUD and City of Roseville. Generally $100-$200 rebates. * Onboard LCD control panel display with adjustable settings for flow/rpm and timer settings. * 3 year warranty if installed by a Licensed pool professional. * Title 20 & 24 compliant and certified.